The beautiful Tamannah Bhatia is extremely busy these days with a host of projects in her hand. She is so busy that she is shooting for alternate films on alternate days without a break. The actress is working for Prabhu Deva ‘s Trilingual film Abhinetri. She is also busy with Vishal’ s big budget Tamil movie. 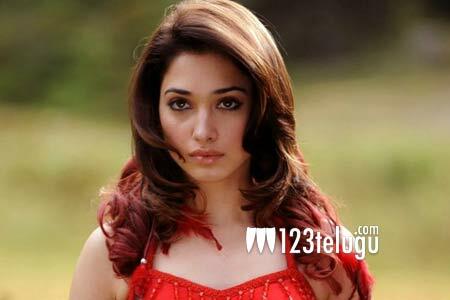 Apart from these projects, Tamannah also has Baahubali to attend to. Despite this tight schedule, Tamannah’s professionalism and work ethic are keeping her in the good books of all production houses.